Do you know someone who connects with the dairy industry and the public? Do they inspire you and others? Do they share their experience and knowledge? Then why not nominate them for the brand new Dairy Industry Woman of the Year Award. Women in Dairy, which runs 14 discussion groups around the country, is inviting nominations for any female working in the industry at any level for this new award. Nominees should show the values to connect, share or inspire and entry forms must be received by 18 August. 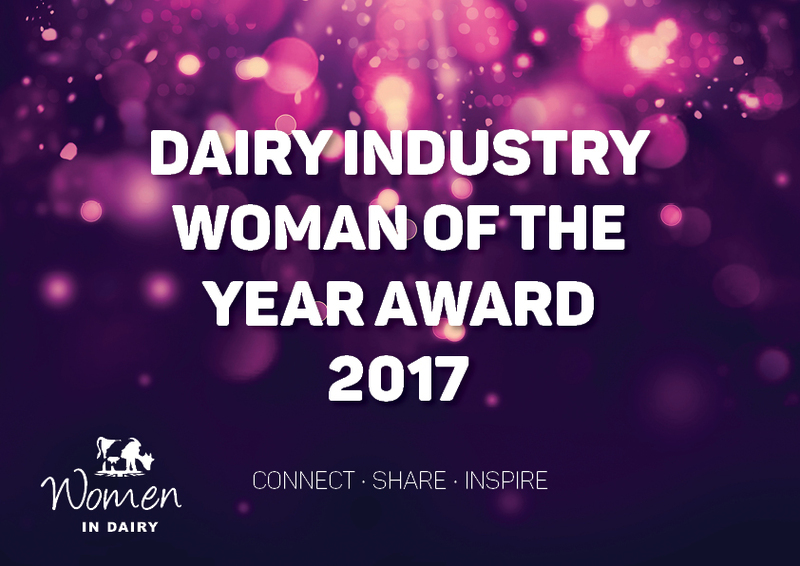 The winner will be announced at the annual Women in Dairy conference on 20 September at Sixways Stadium, Worcester and all nominees will be invited to attend. Di Wastenage, an RABDF council member and dairy farmer who has also been newly appointed patron, will present the award alongside Neil Wilson from conference principal sponsor HSBC. The conference will include presentations on insights into the current global milk market and accessing finance, delivered by a stellar line-up including CEO of First Milk Shelagh Hancock and head of agriculture at the Co-op Ciara Gorst. The event, will also feature HSBC’s head of agriculture Neil Wilson alongside agriculture manager Denise Llewellyn. Staffordshire dairy farmer Lucy Muir will give her experience of juggling a successful business and young family. Paul Harris of Real Success and family farm facilitator Sian Bushell complete the programme with short workshops on communication and succession respectively. The award and conference are organised by the Women in Dairy steering committee comprised of the Royal Association of British Dairy Farmers (RABDF) and Promar International, and supported by AHDB Dairy. Nomination forms are available here or from RABDF’s Emily Egan on 02476 639 317. Forms should be returned to RABDF by 18 August.